Moist, fluffy and sweet! 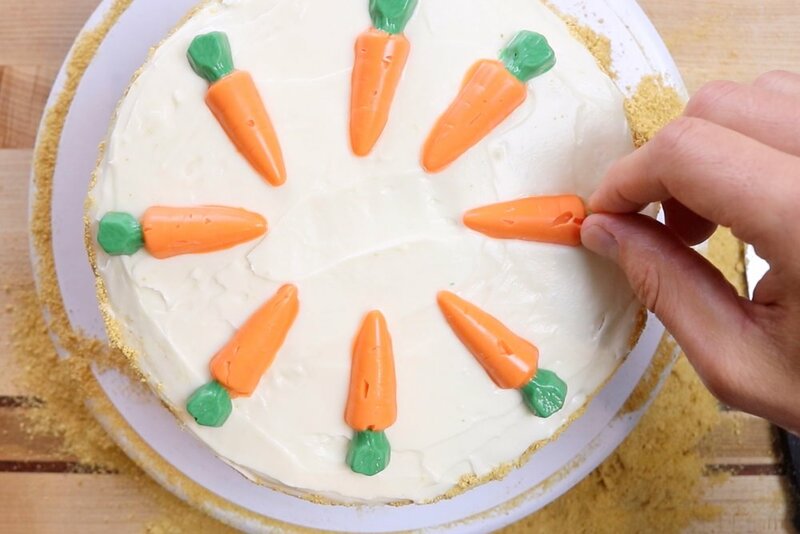 This unique Carrot Cake recipe is packed with flavor! Topped with delicious and decadent cream cheese icing...trust me when I say this is the only Carrot Cake recipe you need! 1. Pre-heat oven to 350 degrees and prepare 3 8-inch round cake pans with parchment paper and baking spray. 2. In a medium bowl add flour, graham cracker crumbs, cornstarch, baking soda, baking powder, salt, nutmeg, ginger, and cloves. Whisk until incorporated. Set aside. 3. In a large bowl, or the bowl of a stand mixer, add the oil, sugars, eggs and vanilla. Beat until combined. 4. Add half of the flour mixture and mix on low speed. Add remaining flour mixture and mix until incorporated. 5. Stir in grated carrots and mix until just combined. 6. Pour batter evenly between the 3 cake pans. 7. Bake the cakes separately for 25-30 minutes or until a toothpick inserted in the middle comes out clean. 8. Take the cakes out of the oven and let cool in pan for 5-10 minutes. Once the cakes are cooled, level the cakes with a cake leveler or a sharp serrated knife. Put the cakes in the refrigerator or freezer for at least 30 minutes. 1. Place butter and cream cheese in a large mixing bowl and beat until smooth. 3. Add powdered sugar and blend on low speed until combined. Increase to medium speed and beat until it begins to get fluffy. 4. Slowly add the heavy cream, a little bit at a time until desired consistency is met. Use at once or keep refrigerated. 1. Place one of the cake layers cut side down on a cardboard round or serving plate. Scoop about 3/4 cup frosting on this layer and spread evenly. 3. Spread the frosting along the sides of the cake smoothing the edges with a knife or a spatula until the entire cake is covered. 2. Repeat with the other cake layers. Pre-heat oven to 350 degrees and prepare 3 8-inch round cake pans with parchment paper and baking spray. In a medium bowl add flour, graham cracker crumbs, cornstarch, baking soda, baking powder, salt, nutmeg, ginger, and cloves. Whisk until incorporated. Set aside. In a large bowl, or the bowl of a stand mixer, add the oil, sugars, eggs and vanilla. Beat until combined. Add half of the flour mixture and mix on low speed. Add remaining flour mixture and mix until incorporated. Stir in grated carrots and mix until just combined. 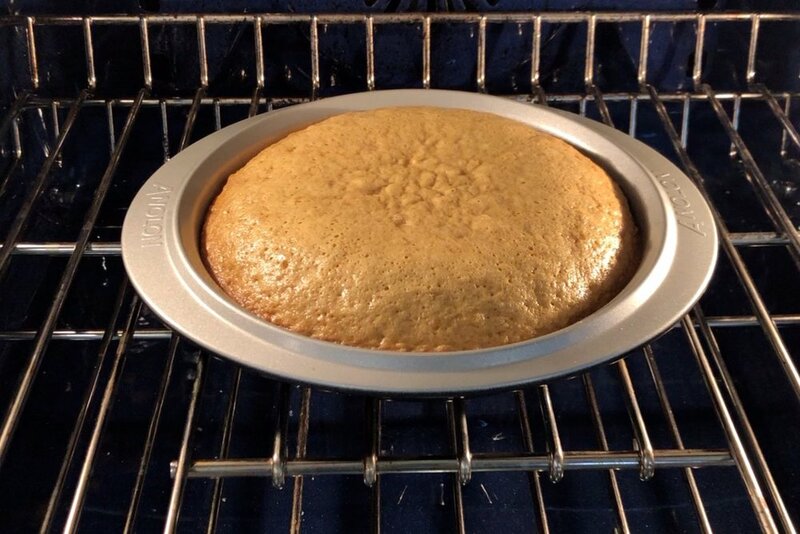 Pour batter evenly between the 3 cake pans. Bake the cakes separately for 25-30 minutes or until a toothpick inserted in the middle comes out clean. Take the cakes out of the oven and let cool in pan for 5-10 minutes. Once the cakes are cooled, level the cakes with a cake leveler or a sharp serrated knife. Cover the leveled cakes and put them in the refrigerator or freezer for at least 30 minutes. This will make it easier to frost the cakes. Place butter in a large mixing bowl and beat until smooth. Add vanilla extract and powdered sugar and blend on low speed until combined. Increase to medium speed and beat until it begins to get fluffy. Slowly add the heavy cream, a little bit at a time until desired consistency is met. 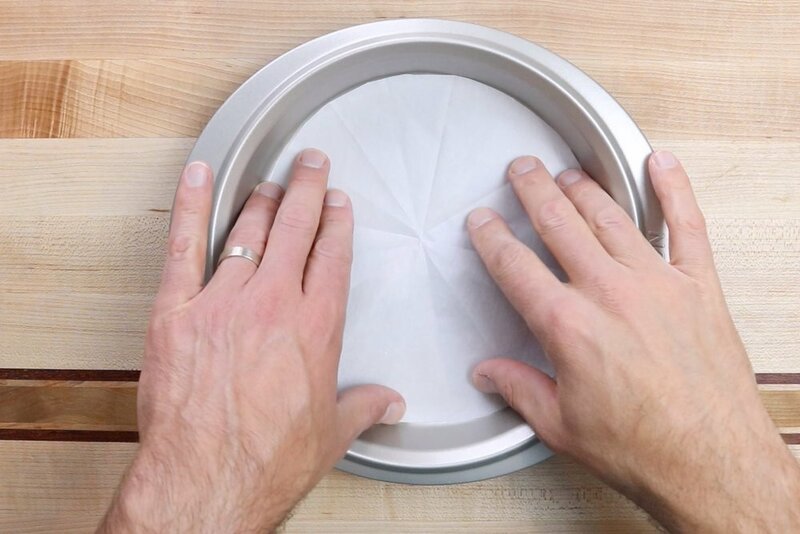 Place one of the cake layers cut side down on a cardboard round or serving plate. Scoop about 3/4 cup frosting on this layer and spread evenly. Repeat with the other cake layers. 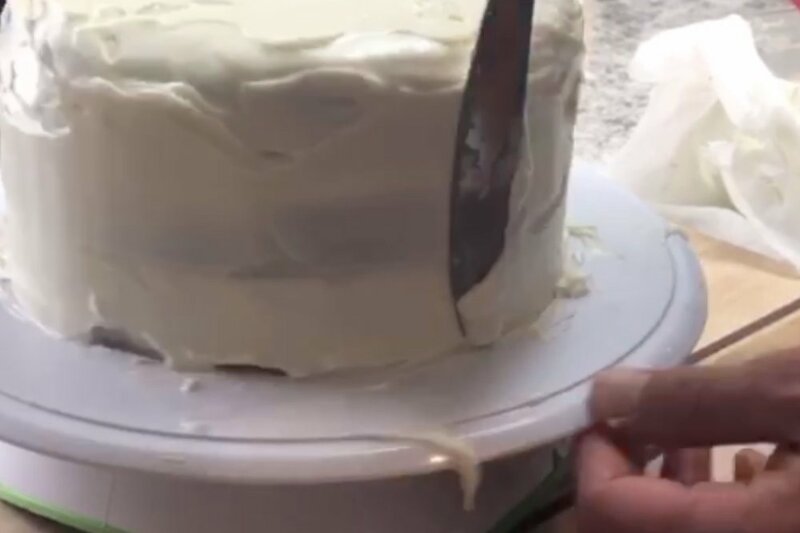 Spread the frosting along the sides of the cake smoothing the edges with a knife or a spatula until the entire cake is covered.